Long Island Lutheran's Andre Curbelo is Newsday's All-Long Island Boys Basketball Player of the Year. Andre Curbelo, Long Island Lutheran, G, 6-1, Jr. If you enjoy magic acts, you’ll love watching Andre Curbelo play basketball. Curbelo is a wizard with the ball, having the ability to glide up the court, create plays for himself and others and dazzle the crowd, as he did throughout Long Island Lutheran’s redemption season. He averaged 16.1 points, six rebounds, seven assists and four steals per game and shot 43 percent from beyond the arc. 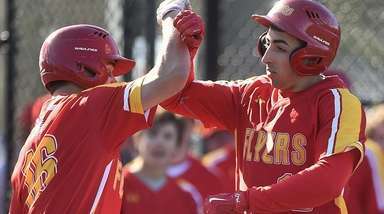 He led the Crusaders to a state championship and has been named Newsday’s Long Island Player of the Year. The junior guard saved some of his best performances for the most important games, scoring 31 points in the state Federation Class AA semifinal, followed by 23 points in the championship game. 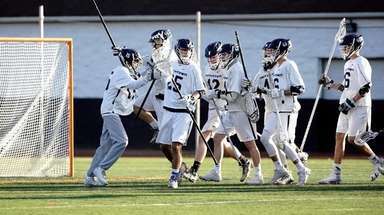 After Lutheran lost in the Federation semifinal last season because of a timeout controversy which the New York State Federation of Secondary School Athletic Associations admitted was a clerical error, Curbelo said throughout the postseason that the Crusaders were looking to get another shot at the title. . Which is what he helped spearhead on the court. Jarell White, Bellport, G/F, 6-4, Sr. Numbers never lie, and Jarell White’s numbers tell the story. He averaged 33 points and 15 rebounds this season and was named Newsday’s Suffolk Player of the Year. White played some of his best games in the most important matchups of the season, posting 35 points with 30 rebounds and six assists in a 79-65 win over Deer Park in the Suffolk Class AA quarterfinals, followed by 30 points in a loss to Brentwood, the eventual Long Island Class AA champions. White had four games of more than 40 points and four games with more than 20 rebounds, including a 45-point, 21-rebound effort in a win against Centereach. He scored at least 25 points in every game this season. Ahkee Anderson, Greenport, G, 5-11, Jr. The shifty player with the ability to knock down a shot from anywhere on the floor averaged 22.7 points for the Long Island Class C champions. He had some of his best games on the biggest stages, with 50 points in the Suffolk C championship game and 40 points in the Suffolk CD final. 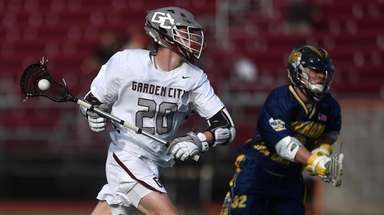 Sean Braithwaite, Center Moriches, G/F, 6-6, Sr. He excels in nearly every area on the court, with the ability to dribble, shoot, drive and defend for the Long Island Class B champions. He averaged 18.5 points, 7.5 rebounds and 7.5 assists. Bryce Harris, Brentwood, G/F, 6-4, Jr.
Harris can push the ball and finish at the rim with the top players on Long Island. He averaged 20.3 points for the Long Island Class AA champions. Aidan Igiehon, Lawrence-Woodmere, C, 6-10, Sr. The Louisville commit makes his presence known in the paint, averaging 26 points, 18 rebounds and six blocks for the NYSAIS "B" champions in a 22-2 season. Michael O’Connell, Chaminade, G, 6-2, Jr.
With the ability to drive, shoot and create for others, he averaged 20.5 points, seven rebounds and five assists, leading the Flyers to the CHSAA championship game. Tavin Pierre-Philippe, Baldwin, F, 6-3, Sr. He averaged 24 points, seven rebounds, four assists and two steals for Baldwin in an 18-win season. Micah Snowden, Center Moriches, F/C, 6-5, Sr. He averaged 20 points, 15.3 rebounds and 6.3 assists, scoring 45 points against Wyandanch in the Suffolk small schools championship game for the Long Island Class B champions. Tyler Stephenson-Moore, Long Island Lutheran, G, 6-3, Sr. The Port Washington native averaged 12.7 points and shot 42 percent from beyond the arc for the state Federation Class AA champions. 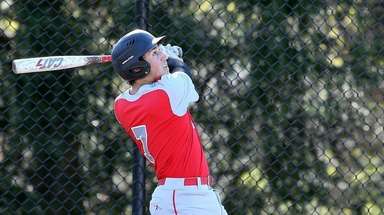 He’s committed to play at Stony Brook. He guided the Indians to the Long Island Class A championship and their first trip to the state semifinals since 1986. He led the Crusaders to their first state Class AA Federation championship in program history and first Federation title since winning Class A in 2012. Zaire Baines, Portledge, G, 6-0 Fr. 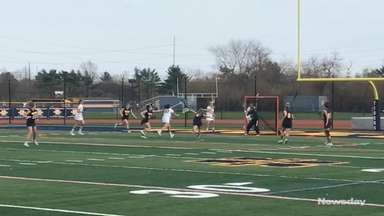 Rylan Blondo, Lynbrook, G, 5-10, Sr.
Max Caspi, Half Hollow Hills East, G, 6-4,Sr. 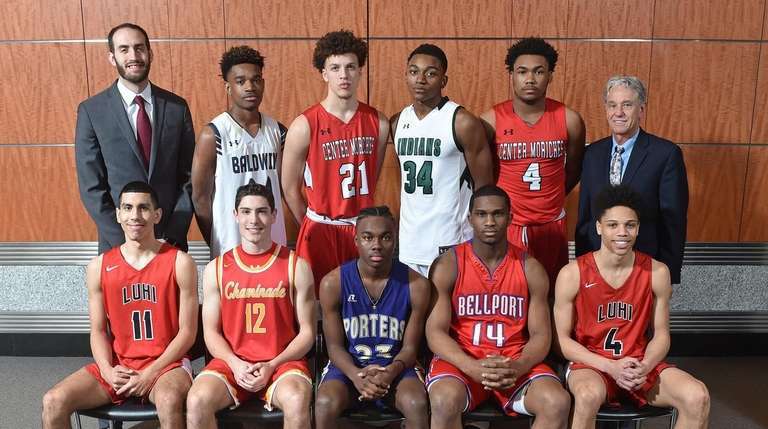 Malik Edmead, Deer Park, G, 5-10, Jr.
Zed Key, Long Island Lutheran, F, 6-8, Jr.
Rolando Meyers-Turner, Uniondale, G, 5-9, Sr.
Jordan Riley, Brentwood, G, 6-1, Soph. Mike Sixsmith, Holy Trinity, G, 6-1, Jr.
Jaxan Swann, Greenport, G, 5-10 Sr.
Elijah Whitty, Longwood, G, 6-3, Sr.